Poor weather makes for the best for some interesting photos. 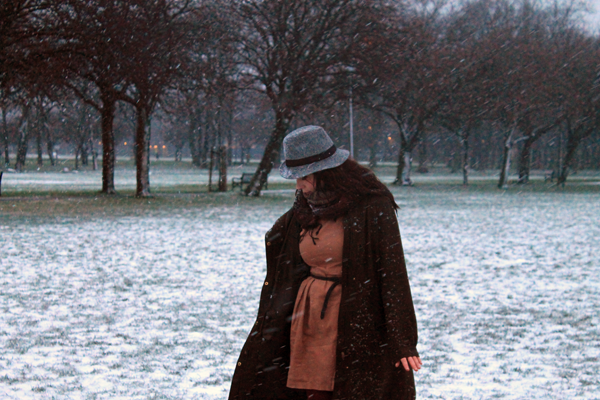 I was slightly scared for my camera taking these photos, but the snow is just so beautiful I had to give it a go. 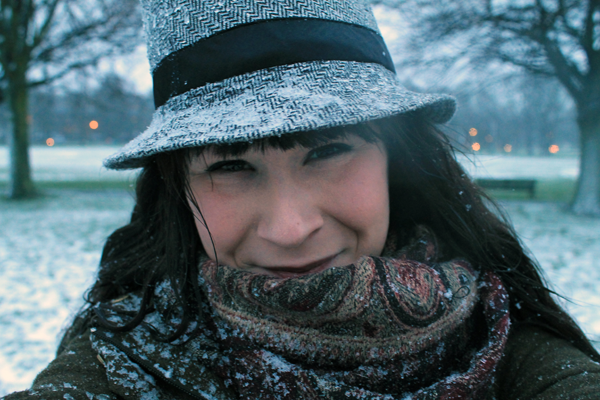 I was absolutely freezing, and I needed a warm drink afterwards, but it was loads of fun. The dogs are just as entertained by it as they were on the first day, and I kind of wish we could live somewhere colder so Mania could play in it all year round. On the other hand I find it very difficult to dress stylishly when the weather is this cold, I'm so impressed with people like Stef and Jenna who somehow manage to keep their style no matter what the weather. You look lovely, I hope you feel better soon! 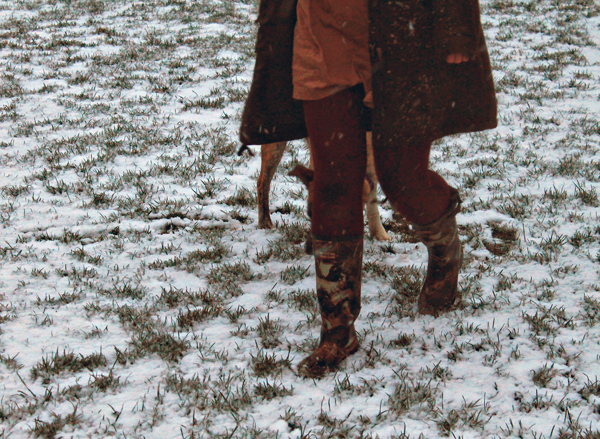 First of all major kudos for braving outfit pictures in this weather both with your camera and I'm sure the biting cold. They were definitely worth it though...I love the way the snow slants across the screen like lots of shooting stars! And the outfit is lovely...particularly loving that hat. I'm sorry to hear you're having such a rough week though...I hope you get through it okay and have lots of people around you to help you along. 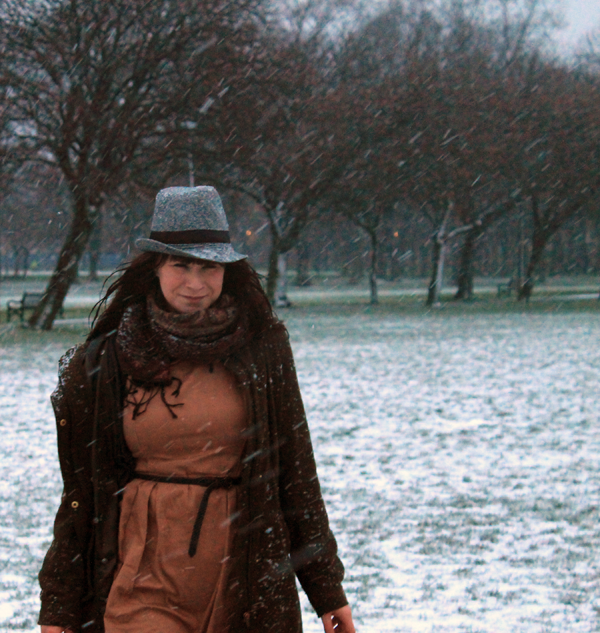 Staying stylish in a blizzard, that's awesome! I love the dress and big cozy scarf and coat! 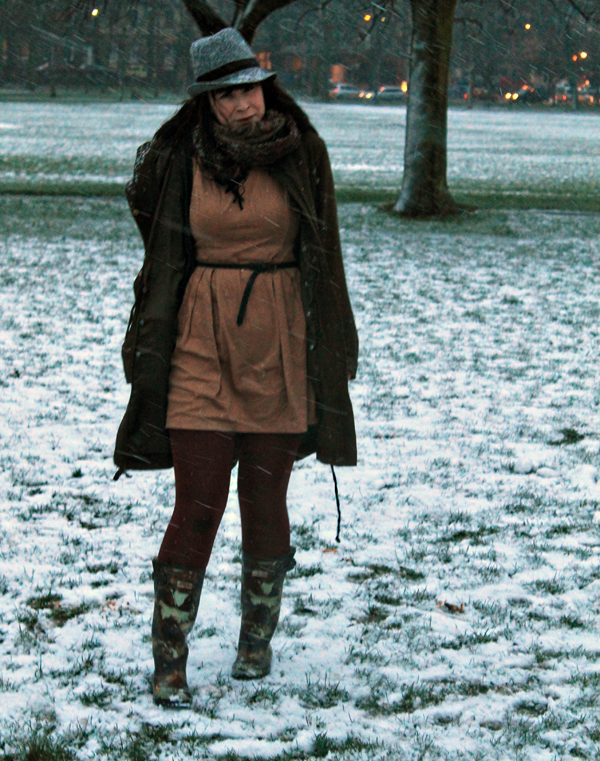 You look all cosy and sweet, I give up completely on dressing nicely when there's snow around, I just want to be warm! i love these snow pictures! you look so lovely in this winter wonderland.. oh how i wish it would snow more here! I hope your days get better soon! Love the photos and the color of that dress! Sometimes a long bath really helps! :) Burrrr! I'm getting cold just looking at these photos!! Your photos are just amazing! Also really love that dress! well, you look good anyway :) love the hat and scarf!